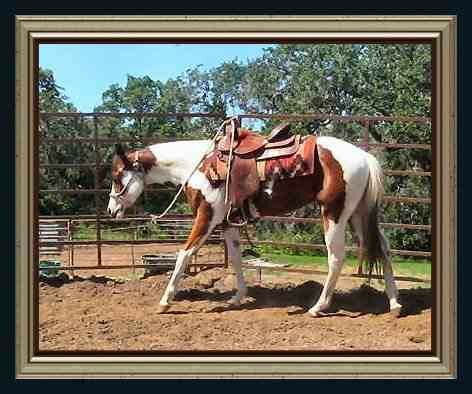 As you can see this mare is absolutely gorgeous. 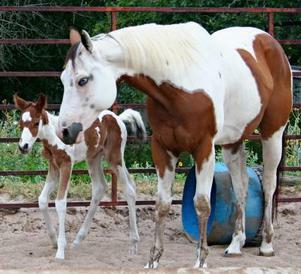 She is very photogenic and has lots of eye appeal and produces gorgeous foals. 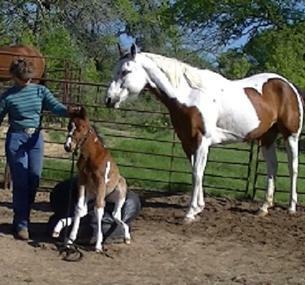 She has very good halter manners, a beautiful slow motion trot, and a sweet personality. 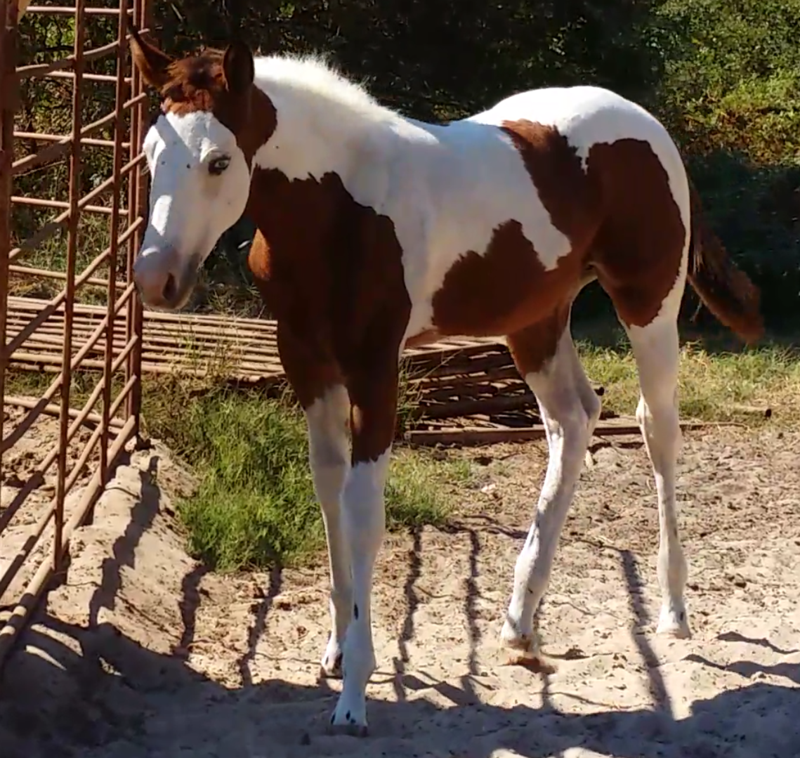 She is an excellent broodmare and has produced 5 for 5 beautiful loud flashy paint babies all by solid AQHA stallions Oh Im Good and Too Hot For Vegas. As she is a Tovero her chances of producing a paint are at 75% but so far it has been 100% She can produce Tobianos, Overos and Toveros. 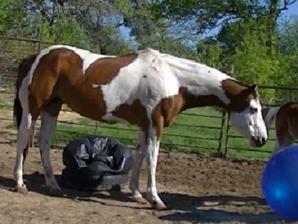 Katy was lightly started in 2003 and has not been ridden since. 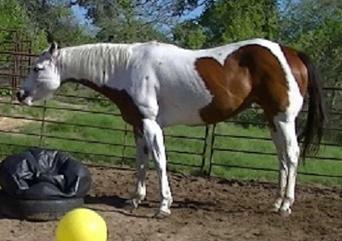 She has only been used as a broodmare. She performs all her groundwork with softness at everything that I ask of her. She is very willing and attentive. She'll go over logs, bridges and other obstacles, etc. 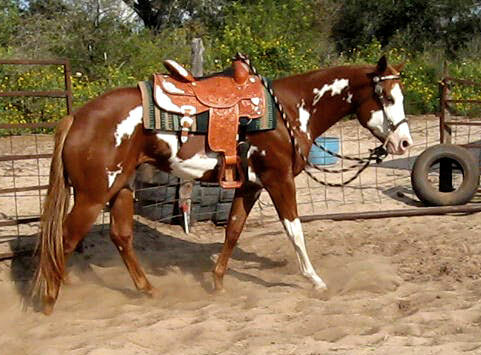 Katy's sire is an APHA Champion from a long line of Champions. 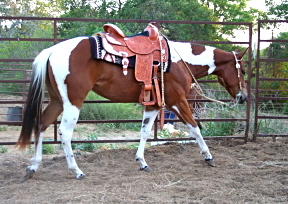 He is the producer of an APHA World Champion that is also a two time Reserve World Champion. As you can see from the photos below, Katy produces loud, beautiful babies with pretty little heads...She hasn't thrown a solid colored baby yet!